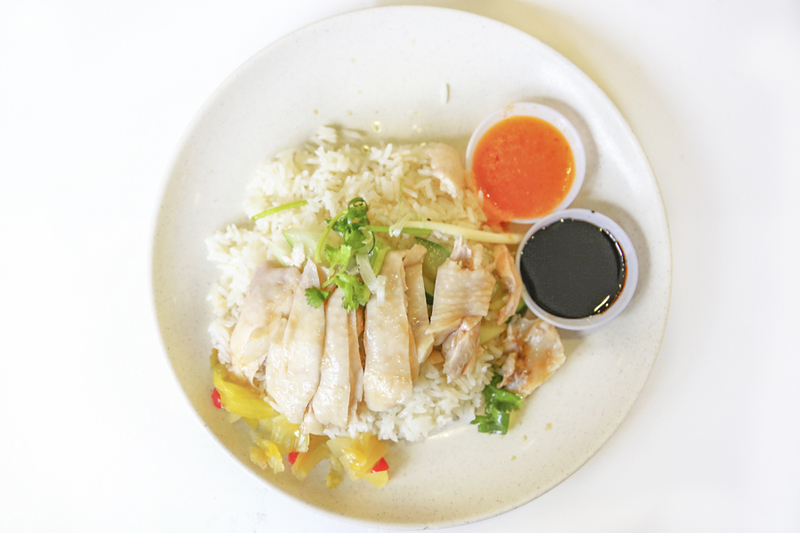 Chicken Rice is considered one of Singapore’s National dishes, a plate of chopped poached chicken and rice cooked in stock looking deceptively simple yet satisfyingly tasty. 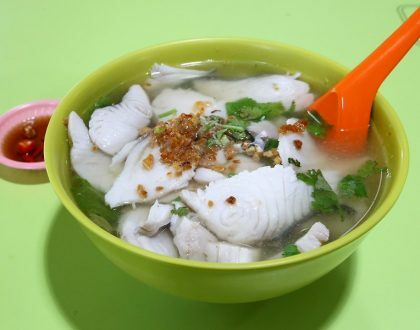 Two Chicken Rice stalls in Singapore get the approval from Michelin inspectors with them being included in the Michelin Bib Gourmand Singapore list. 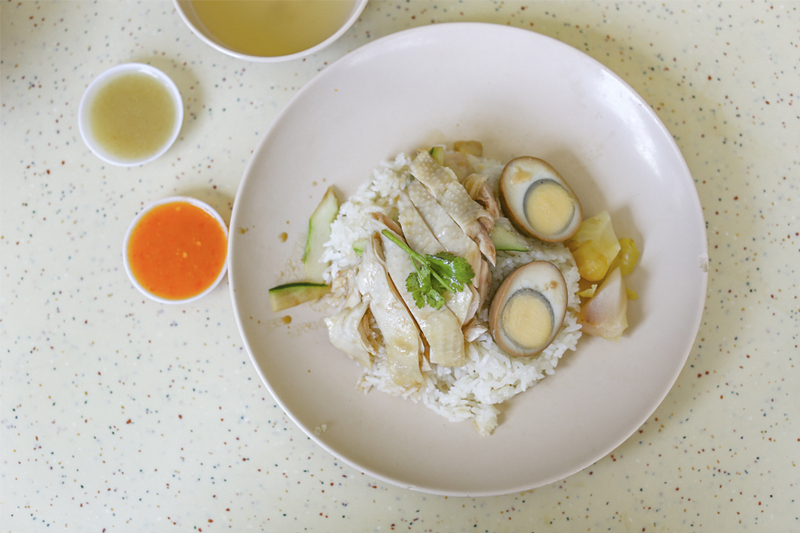 Tiong Bahru Hainanese Boneless Chicken Rice and Tian Tian Chicken Rice. 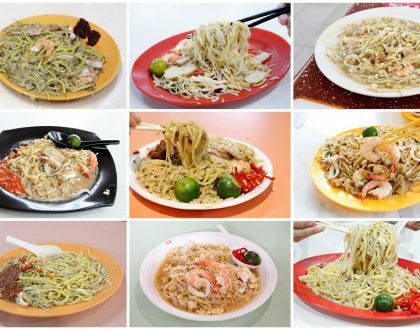 Wait, how about Boon Tong Kee, Wee Nam Kee, Yeo Keng Nam, Loy Kee, Sin Kee, Chin Chin, Yet Con, Five Star Hainanese Chicken Rice… and the list goes on and on. 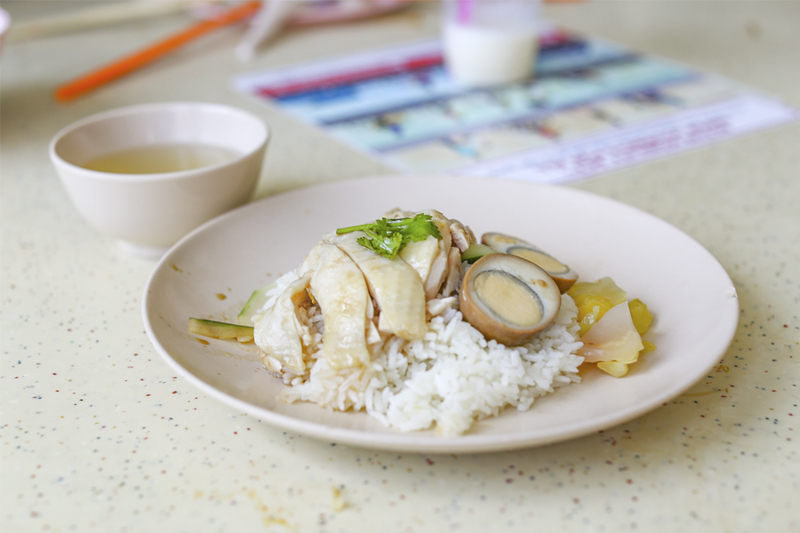 There bound to be some criticisms, because Chicken Rice is so close to our hearts, and what many of us grow up eating. 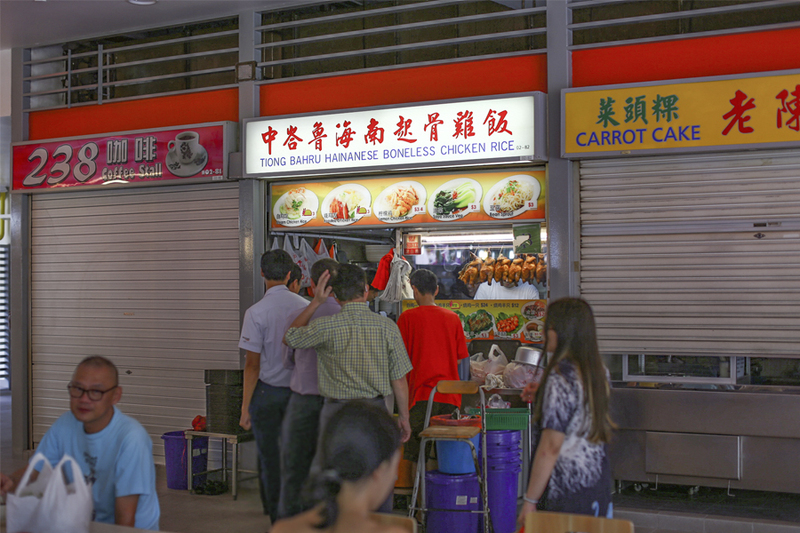 The stall which has opened since 1988, serves up Hainanese Boneless Chicken Rice ($3), Roasted Chicken Rice ($3), Lemon Chicken Rice ($3), Soya Sauce Vegetables ($3) and Bean Sprouts ($3). 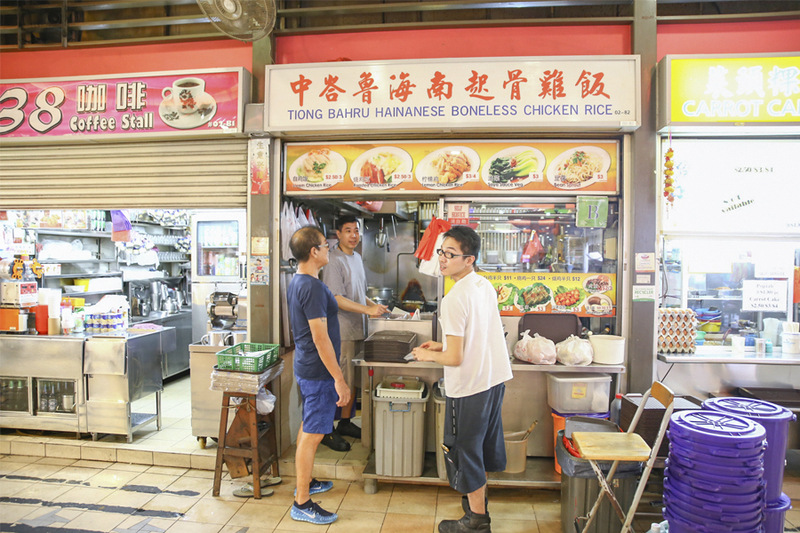 The owner learnt the ropes of making Chicken Rice from a friend who used to work at Mandarin Hotel – known for its “legendary” Chatterbox Chicken Rice, and added his own modifications. 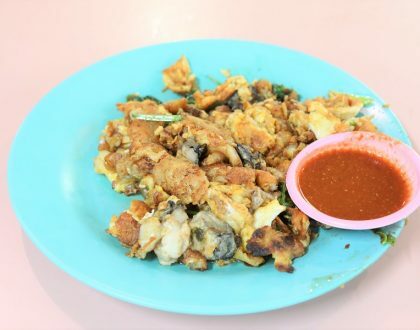 Compared to some of the more famous brands, the chicken here takes up a more muted slant – the chicken meat was smooth, not too oily, still somewhat juicy but would have preferred plumper pieces. 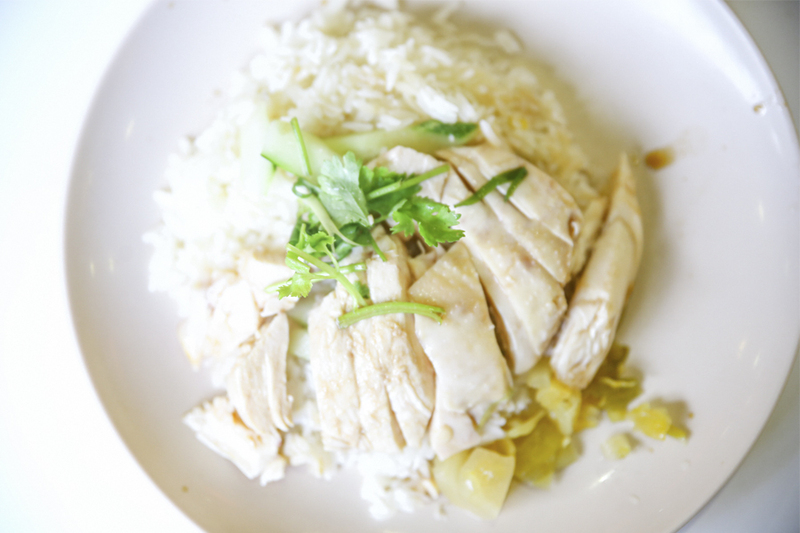 The fluffy rice cooked with chicken stock, garlic, spring onions, ginger and onion, also had a more subtle taste, less oily than the average stall, but one wonders if there could be more depth in flavours. The group of us figured that that was their style, and there will be many fans of this ‘cleaner’ taste. Note: Even though the stall indicates an 8pm closing time, they will close the stall once the 40 chickens or so sell out.